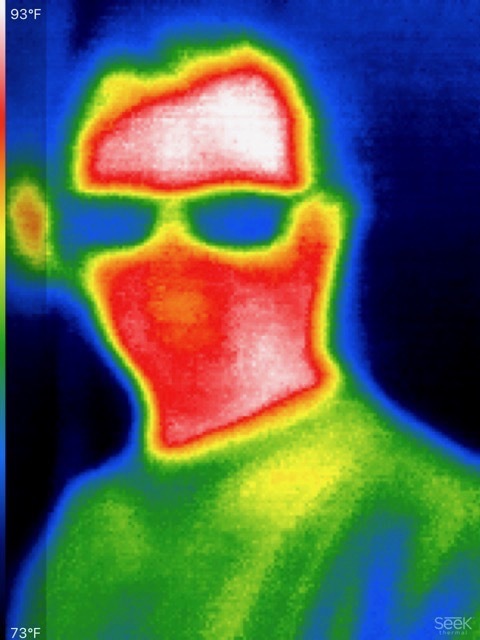 I’ve had my eye on thermal imaging cameras for a long time. Not because I needed one, or because I need to hunt prey like a viper, but because they just seemed so cool. 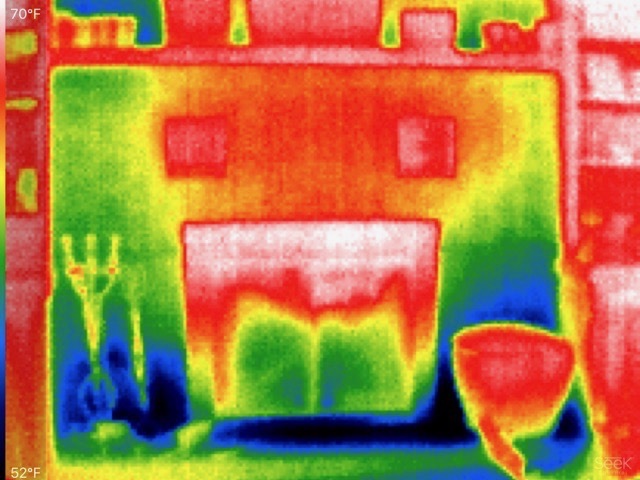 The idea of viewing one of those 2D colorful infrared images of things in and around my home or “seeing” temperature was just such a fun concept for a geek like me. 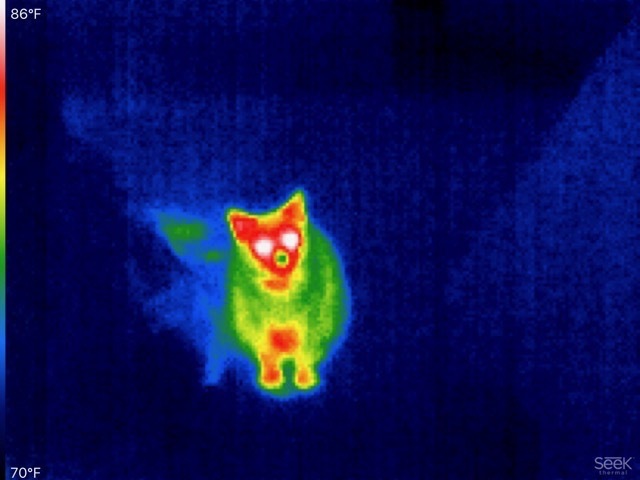 But given prices of over $400 for even consumer-grade models, a thermal imaging camera was a novelty I couldn’t justify. Then I spotted the Seek Thermal Compact Imager by Seek Thermal at Amazon for about $220—it’s an infrared camera that cuts costs by using your iPhone’s screen, power supply, and storage. When I combined that with the fact that a builder is actively insulating an addition to our home in sub-zero weather and I wanted to make sure that cold air wasn’t leaking in, I finally had an excuse to buy one. The Compact is available for both iOS and Android, and Seek Thermal makes two more advanced (and expensive) models, the CompactXR and the Compact Pro, that add range and resolution for an additional $50 or $200, respectively. Despite its name, the Compact, which comes with a nifty waterproof carrying and storage case, is smaller than I expected. All you have to do on the hardware side is plug it into a Lightning port and adjust the focus ring. 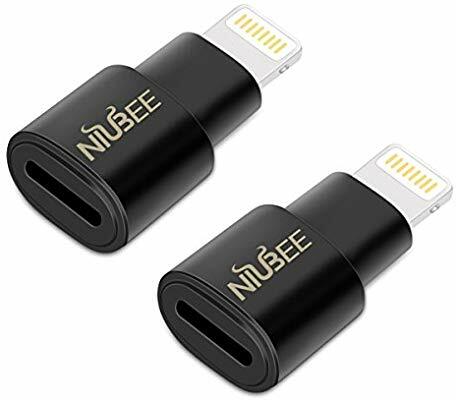 I was a bit disappointed that I needed to remove my iPhone 8 Plus from its protective case for the Lightning plug to seat properly, but that’s a minor inconvenience. Right away, I was impressed. 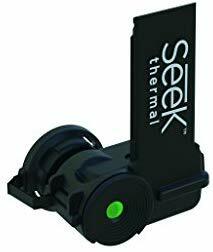 As soon as I plugged the Compact into my iPhone, it prompted me to download the free Seek Thermal app from the App Store. 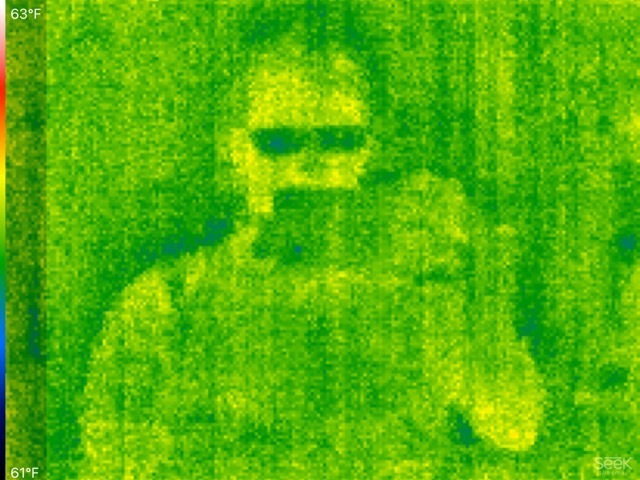 After skipping the pleasantries of the welcome screens, I was able to start evaluating my surroundings in infrared. Exploring the house searching for air leaks is, of course, one of the main uses and cost benefits of the Compact. Some leaks, like the cold air emerging from beneath my fireplace, I expected. Others were a bit more of a surprise. A thin temperature legend appears down the left edge of photographs. It shows the high and low temperatures as they correspond to the range of colors from white (hot) to black (cold). To keep the images “pretty” with a wide dynamic color range, the Seek Thermal app doesn’t map colors to absolute temperatures. Instead, it reassigns the colors in real-time to the hottest and coldest temperatures in the given frame. Captures from the Compact are saved directly to your Camera Roll, making them a breeze to share. I captured a few photos of my addition and sent them to my builder so he could address the issues before hanging the drywall. 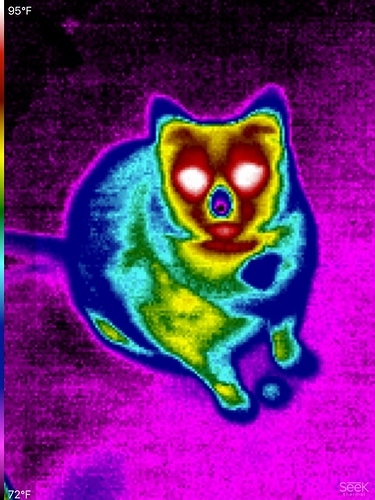 The Compact Imager can also capture video, which might be useful for seeing what wildlife is nearby at night. And, it turns out that teenagers love watching the videos to relive hide-and-seek games in a dark basement. With the Compact mounted on the bottom of the iPhone, it’s easy for your hand to get in the way of the camera. 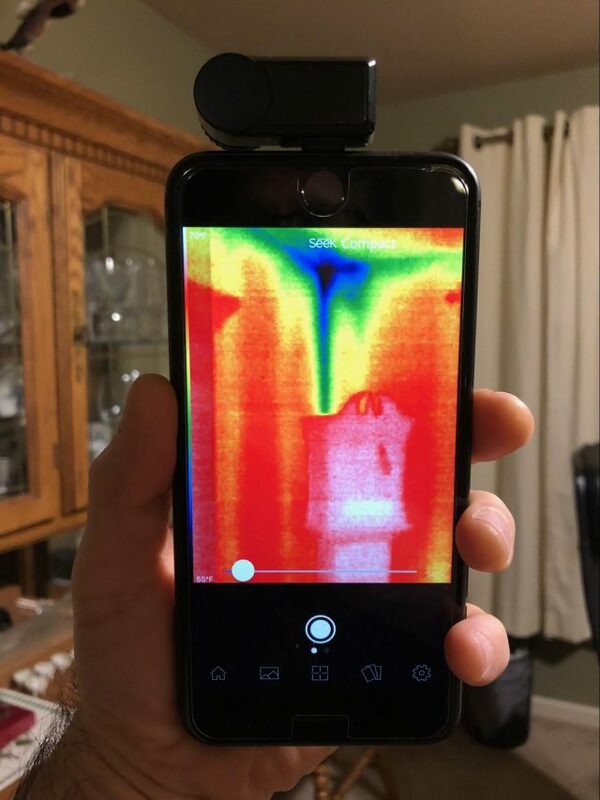 Fortunately, the Seek Thermal app can flip orientations so that you can spot cold corners of the dining room with the phone sideways or even upside-down. The Compact has uses besides weather-proofing your home. For instance, it can help you find your cat when it’s trying to avoid a trip to the vet. And if you want to take a thermal selfie, simply remove the Compact from the Lightning port, insert it the other way, and say cheese. If you want a clearer picture, note that the focus ring can sometimes improve clarity. But the Compact’s sensor is just 206 by 156 pixels, so there’s only so much that focusing can do. 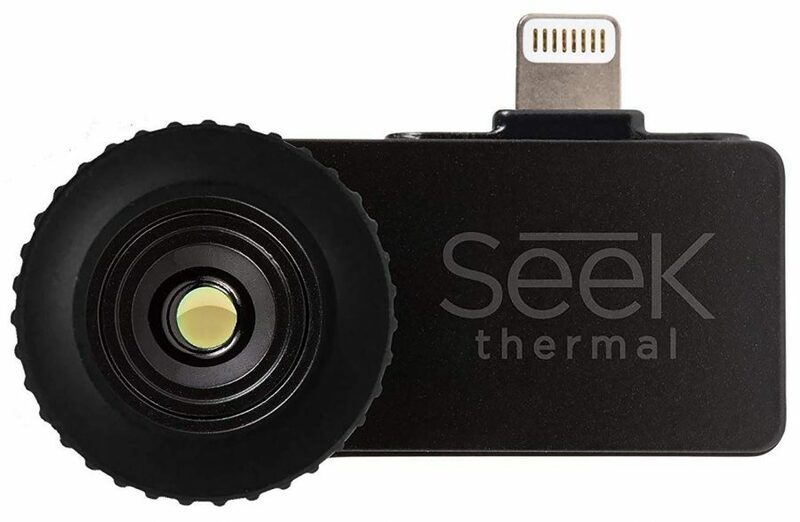 Seek Thermal’s CompactXR model has the same sensor but a different lens that provides nearly double the viewing distance. The Compact Pro has the longer viewing distance and a larger sensor—320 by 240 pixels—but it’s also a lot more expensive. I don’t think most people will see enough benefit from the upgrades, but your use cases may vary from mine. Comments on the product’s page at Amazon suggest that the matching of color to temperature is not all that accurate. That’s probably true, but generally irrelevant. When I see “blue” around my electric outlet, I know cold air is entering the room and I should insulate it. The exact temperature around the outlet is immaterial in that context. 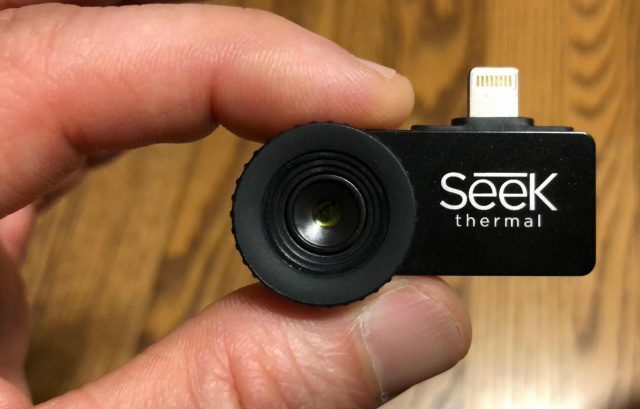 There’s one, clear downside to the accessory design of the Seek Thermal Compact Imager: I can’t lend it to my Android-using friends as I could with a standalone thermal imager. But this minor downside is outweighed by the device’s advantages: no batteries to change, zero effort to transfer images off the device for sharing, extreme portability, a large screen, and a rock-bottom price that finally puts thermal imaging within reach for geeks like you and me. Thanks for your post and your question! The ring doesn’t turn much anyway. And sometimes I can see it help; other times the difference is not noticeable. I’d say it could be handy for getting the crispest photograph in some cases. In other cases, or for non-photos, it really doesn’t make much difference in helping identify temperature differences. In other cases, or for non-photos, it really doesn’t make much difference in helping identify temperature differences. That was my thinking when I bought the older, cheaper model — the resolution of these thermal cameras is so low I figured the focus wouldn’t make any difference.